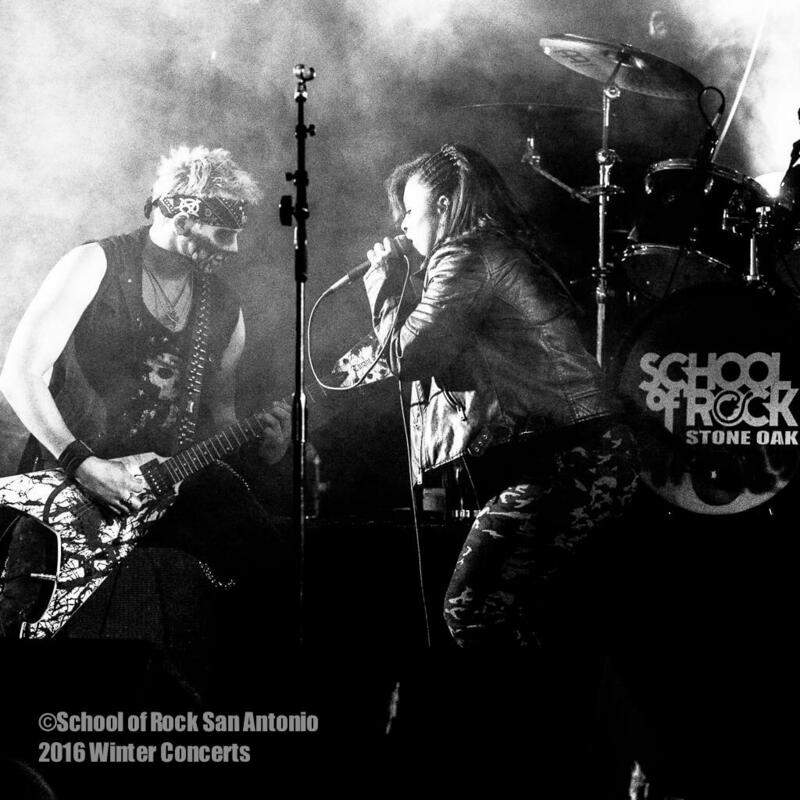 School of Rock San Antonio’s music teachers are experienced musicians devoted to helping students attain musical proficiency. 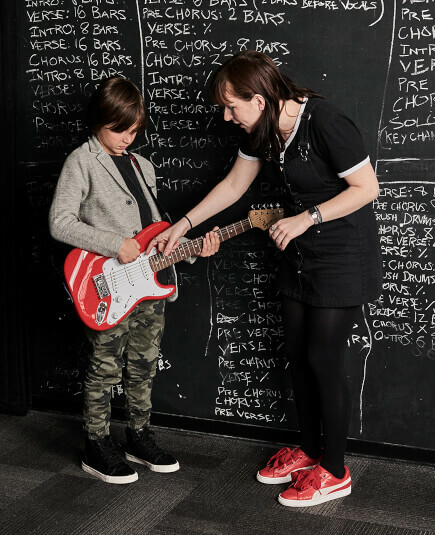 From singing to drums to guitar, our San Antonio music instructors inspire and teach students to perform live. 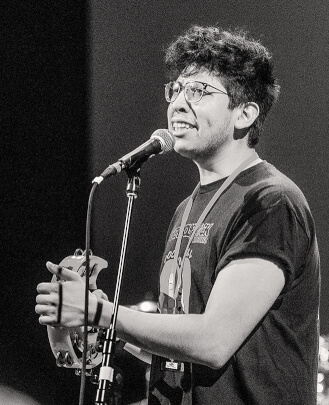 Emilio's expertise is on guitar, bass and vocals. 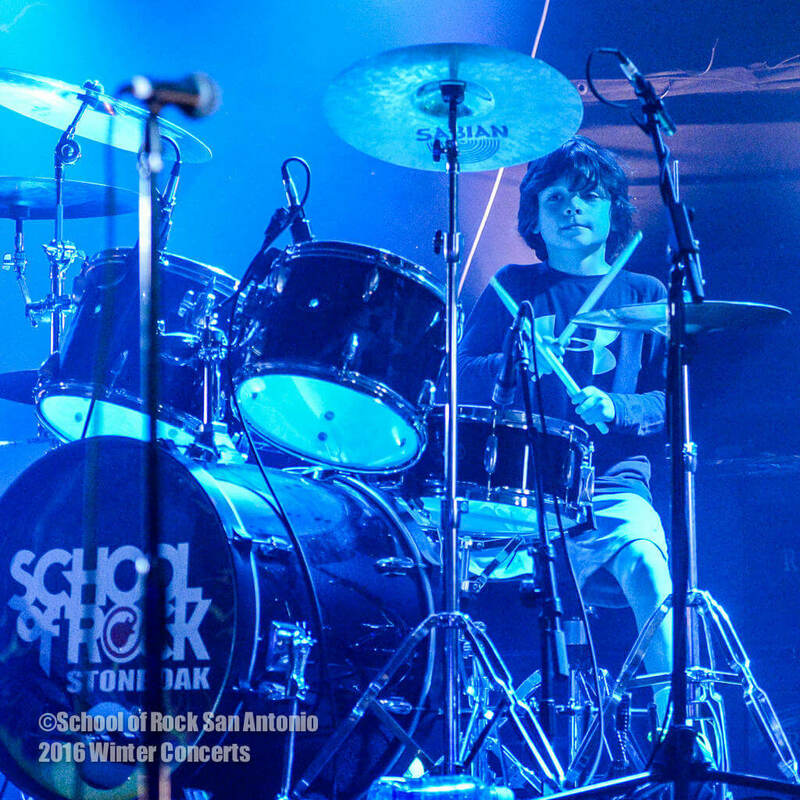 Emilio has been teaching at School of Rock San Antonio since 2014. 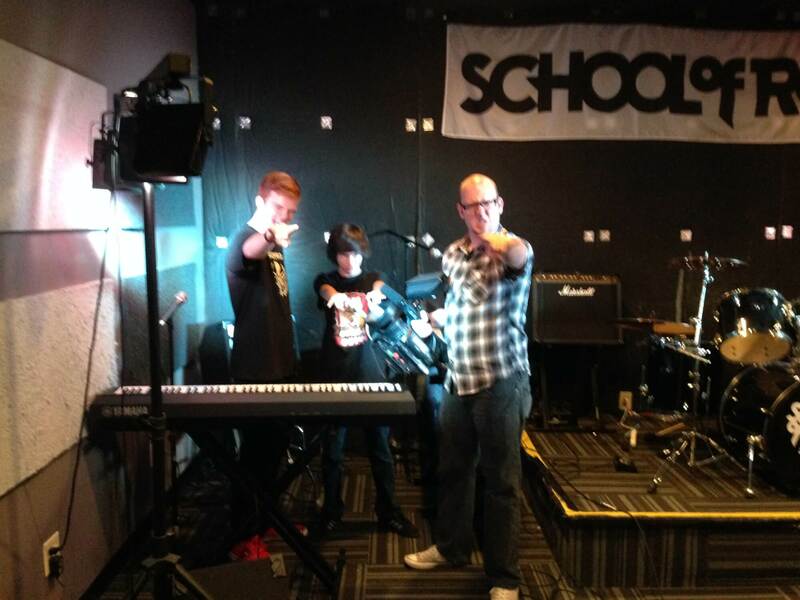 He not only teaches how to play rock music, but also how to perform on stage! 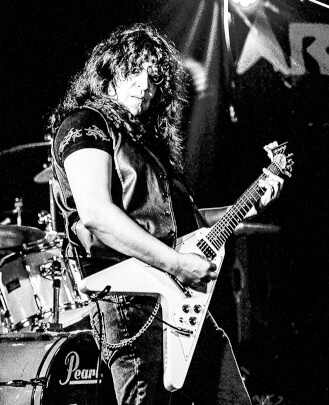 Emilio has played in many bands through the years and recently toured with a KISS tribute band. 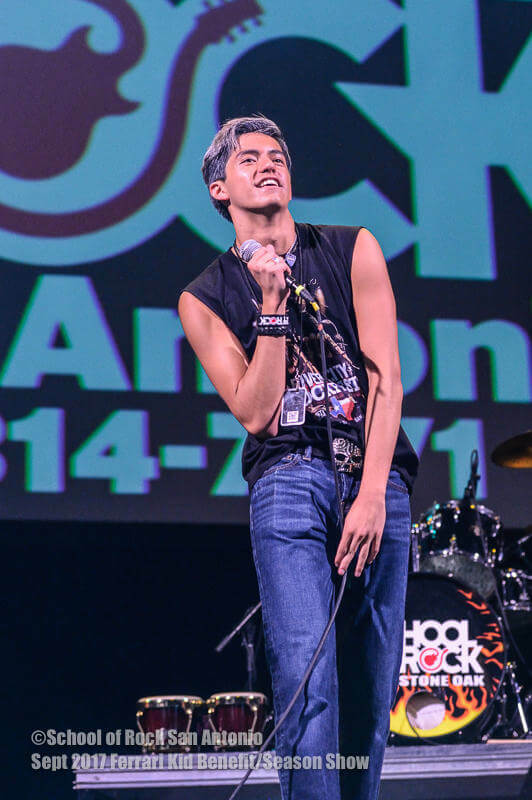 He played for Wolfpack here in San Antonio for several years and is currently in Arrowhead, a local rock band that performs throughout San Antonio and other South Texas cities. He is also in another KISS tribute band, Black Diamond, where he plays the role of Paul Stanley. Emilio is a wealth of music information from working the stages of many great artists through the years. He plays all types of classic rock music and shreds with the best of them. He also understands guitar amps and the specifics needed to make a great sound. 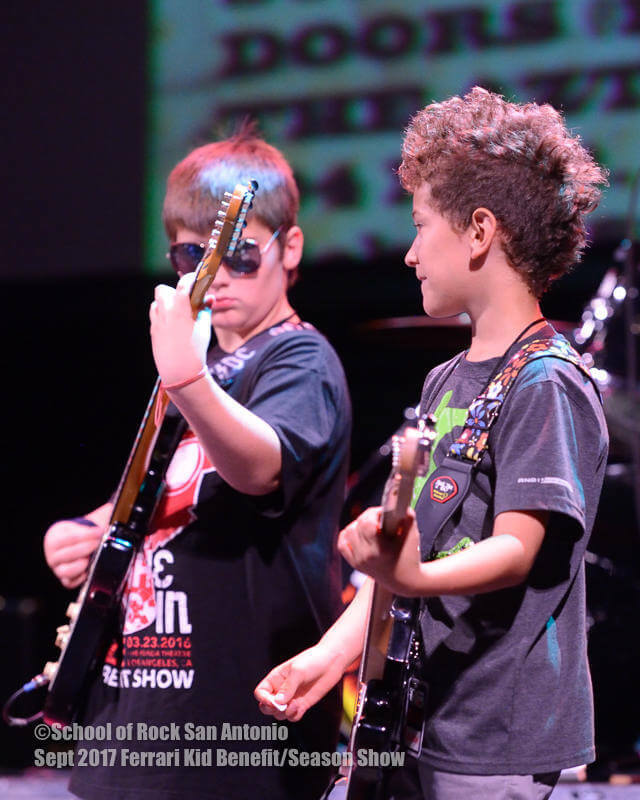 Emilio teaches Rock 101 as well as our Performance Programs. 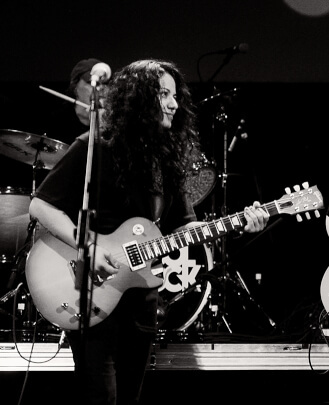 Born and raised in San Antonio, Texas, Sofi Lopez has always been musical for as long as she can remember. 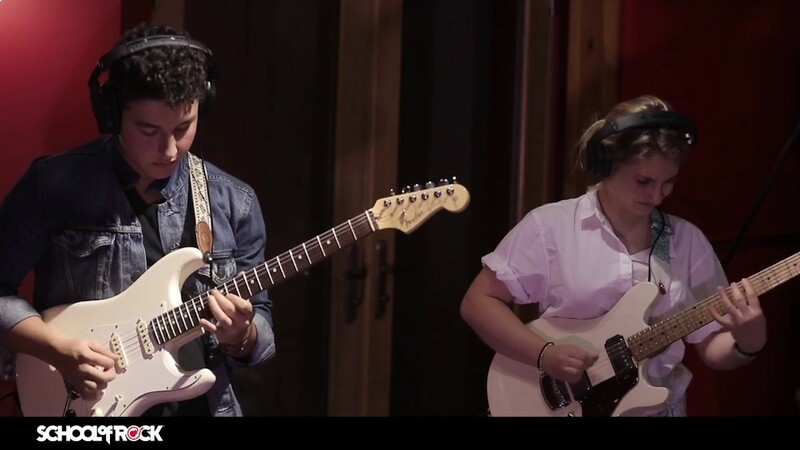 After graduating high school, she picked up the guitar and never turned back. 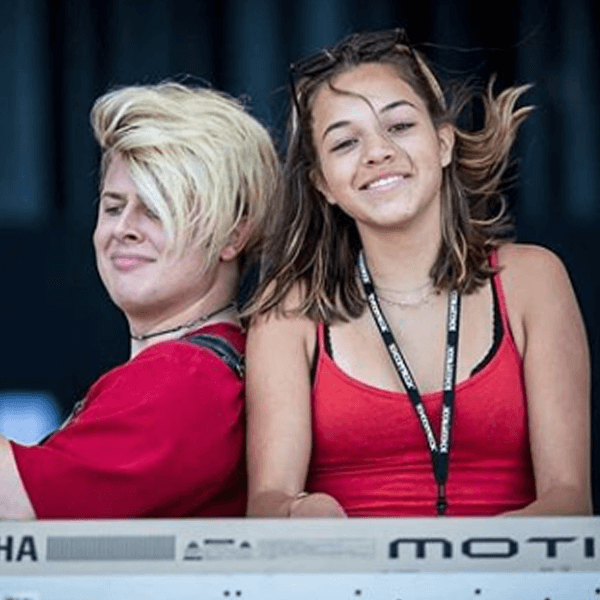 After attending a couple years at Northwest Vista College where she studied with guitar teacher Dan Smith and performed in ensembles directed by Katchie Cartright, she transferred to Texas State University and graduated with a degree in guitar jazz studies. She has studied guitar with Mark Cruz and Russel Scanlon. She has also been in jazz combos and ensembles directed by Freddie Mendoza, Morris Nelms and Kieth Winking. 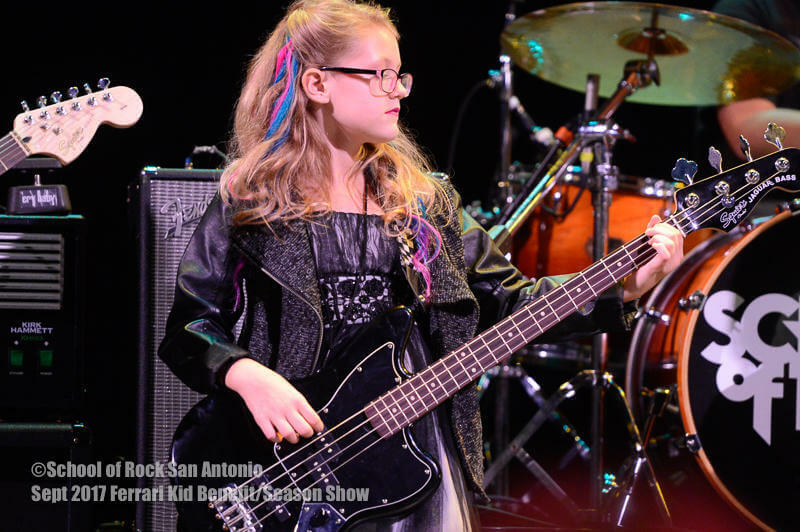 Sofi has performed at the university but also at local jazz clubs like Kirby's Steakhouse, Swig, Club Luna and Firehouse Lounge in Austin. The Sofi Lopez Jazz Quartet has had their track, "Black Orpheus" (written by Luis Bonfa), played on the San Antonio Jazz radio station, KRTU 91.7. In Fall of 2014, the quartet was featured on KRTU's show, "The South Texas Jazz Project." This included a live studio performance and a brief interview. 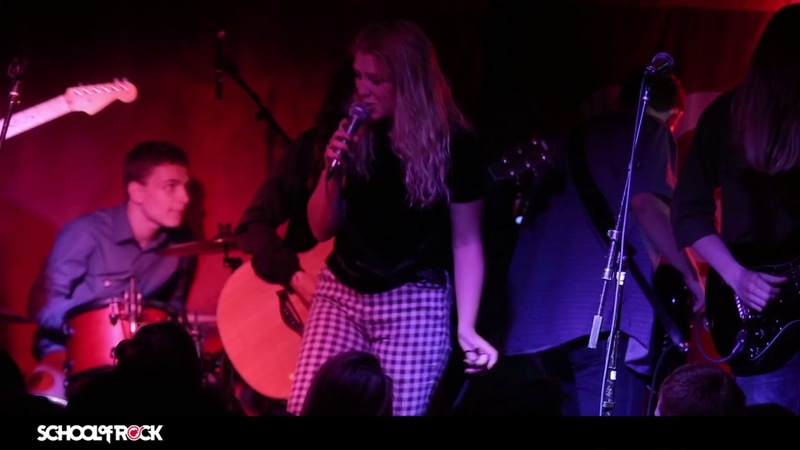 Sofi is currently the vocalist, guitar player and arranger of her own group but also has been called to play guitar or sing for groups like Midtown Jazz Sound, Hillcountry Jazz Bigband and The Powerhouse Big Band. David has been playing piano since he was three. He is heavily trained in music theory and has years of experience with both classical piano and rock keyboards. David's musical journey has included playing the bassoon for several all region bands, as well as in the Youth Orchestra of San Antonio, which included touring England. He also plays guitar, sax, drums and bass. 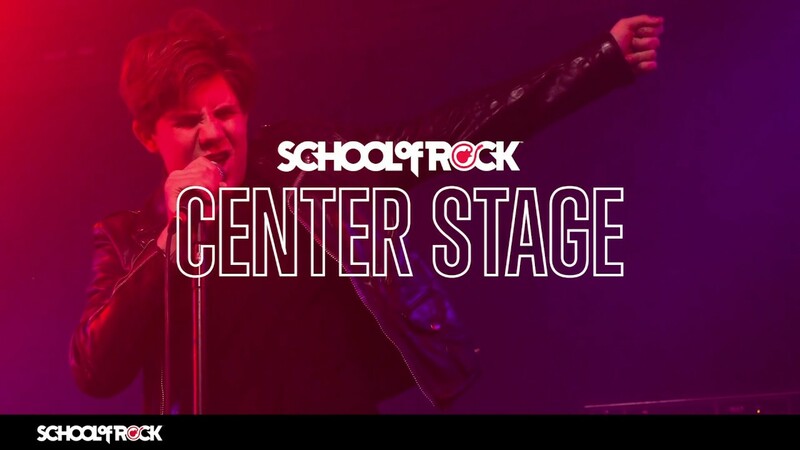 David attended School of Rock as a teenager and was a two-year School of Rock AllStar as a keyboard player and lead vocalist. He toured the east coast including venues like DC9 and Webster Hall as well as events like Lollapalooza and Gathering of the Vibes. 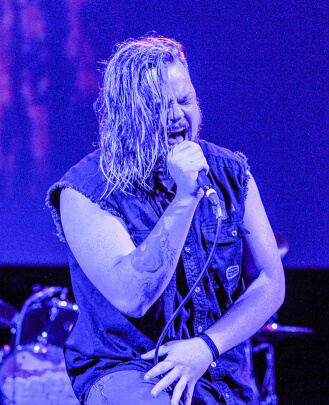 He is currently lead singer and keyboard player in the heavy metal band Alpha Syndrome. Jason's been playing drums for over 25 years. He started playing at 11 years old. 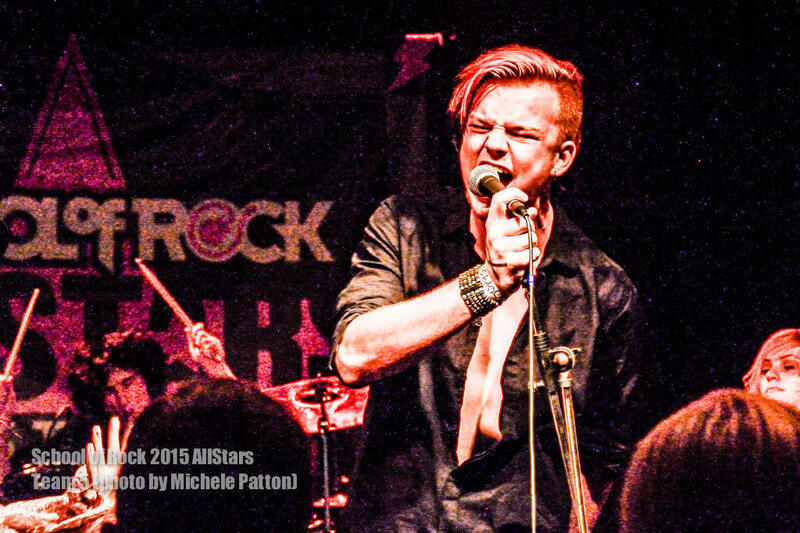 He's played with Sebastian Bach, Murder Dolls, Wednesday 13 and more. 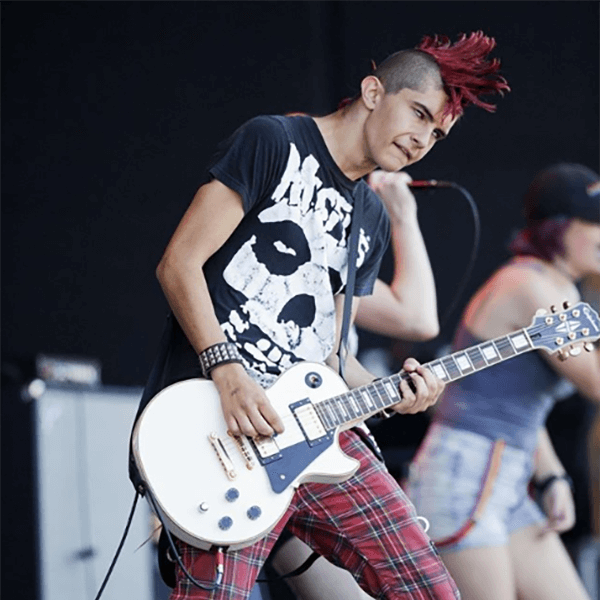 He currently plays with Evil United, Athanasia, Union Underground, Down Generation and Thunderhorse. 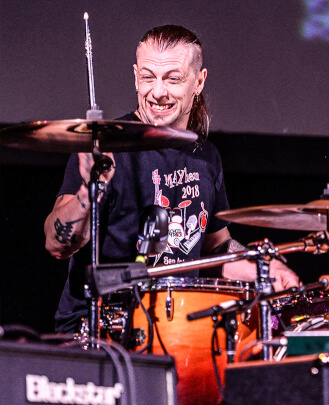 Jason has been a touring drummer for the last 15 years and toured both the United States and overseas and now he's excited to be sharing his craft with the younger generation. Sarah teachers bass guitar lessons. She studied at Baylor University and performed with the Baylor Jazz Ensemble for four years. Afterwards she was part of a blues/rock band known as The South East Players based out of Austin, TX with a single album release. 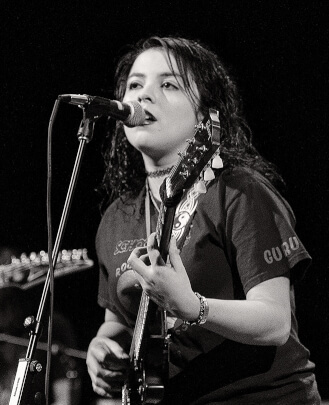 After moving back to San Antonio she has frequently performed with various jazz groups, as well as filled in for a few local punk, ska and tejano groups in and around town. 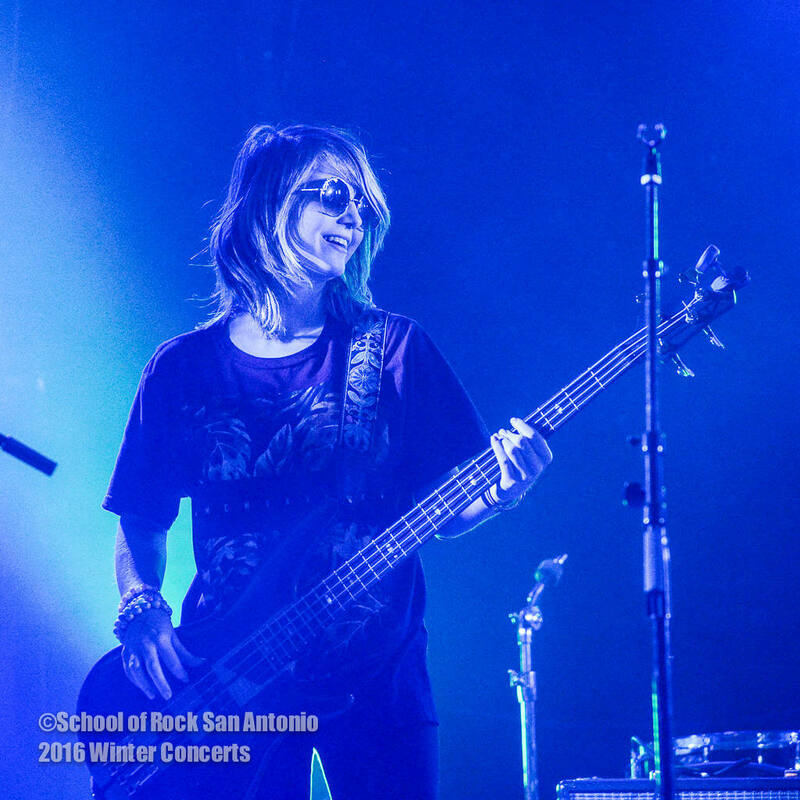 In her own words, "Teaching the bass has been one of the best musical experiences yet and I hope to continue throughout my education as I study to pursue a Pharm D degree at The University of the Incarnate Word." 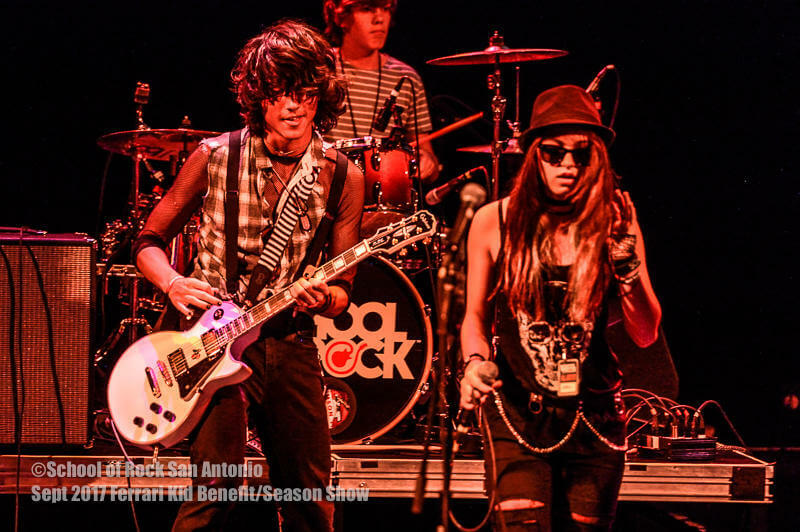 Gavin was a student and mentor at School of Rock for several years before graduating in 2016. 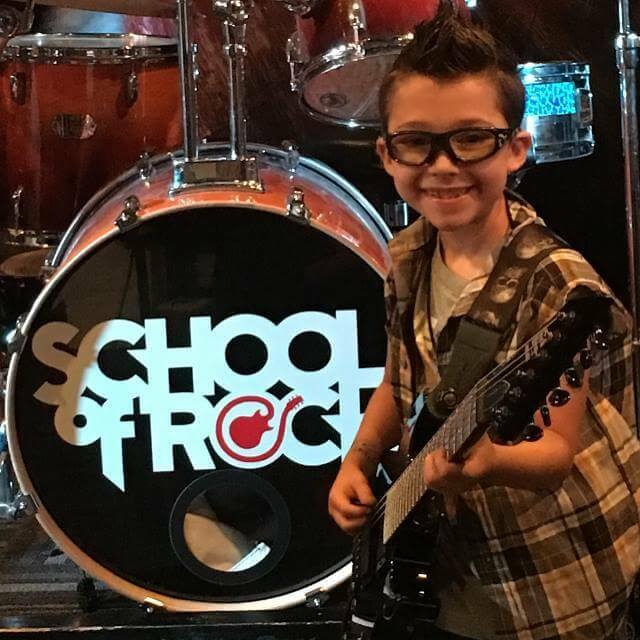 He performed all over town as well as toured with the School of Rock House Band. 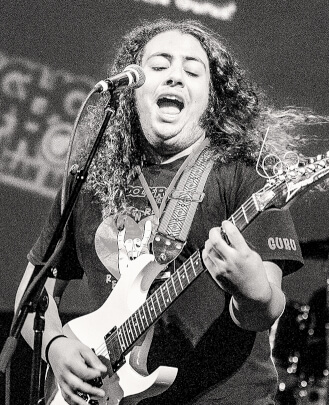 He is currently studying Music Therapy with a focus on Guitar at University of Incarnate Word. 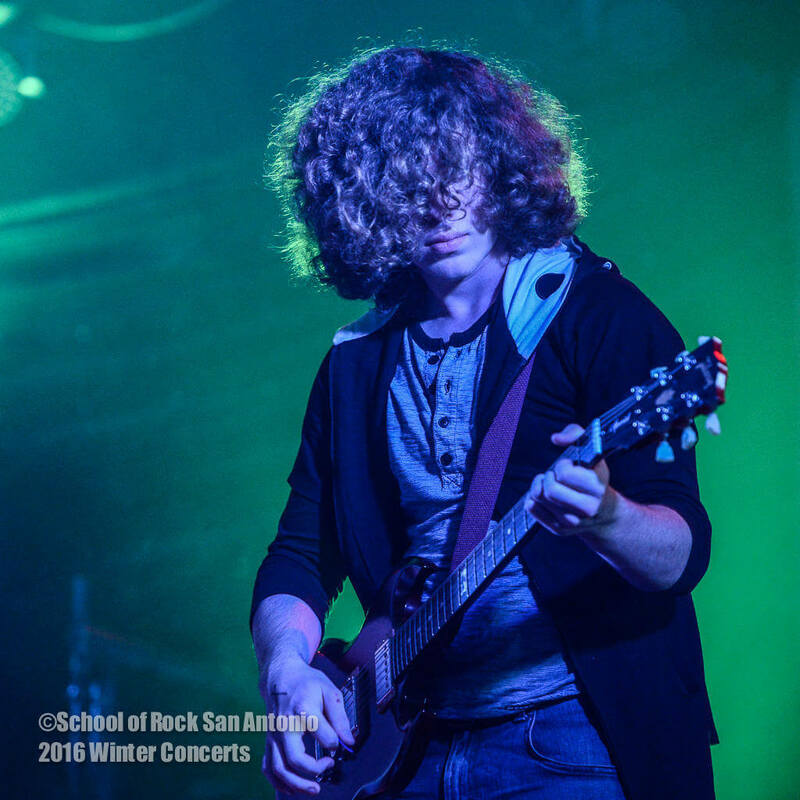 Gavin currently plays in several bands around San Antonio, including the Sanchovies. He teaches Rock 101 and guitar lessons. Greg DeMoore is a seasoned musician, singer, songwriter, guitar player, producer and educator. He is originally from Memphis, TN, where he had the unique privilege to work with and be mentored by some of Memphis' finest musicians, such as Willie Mitchell, legendary record producer Al Green, Tina Turner and Memphis entertainment icon T.O. Earnhart. He received his first guitar at the ripe age of five and has been performing ever since. 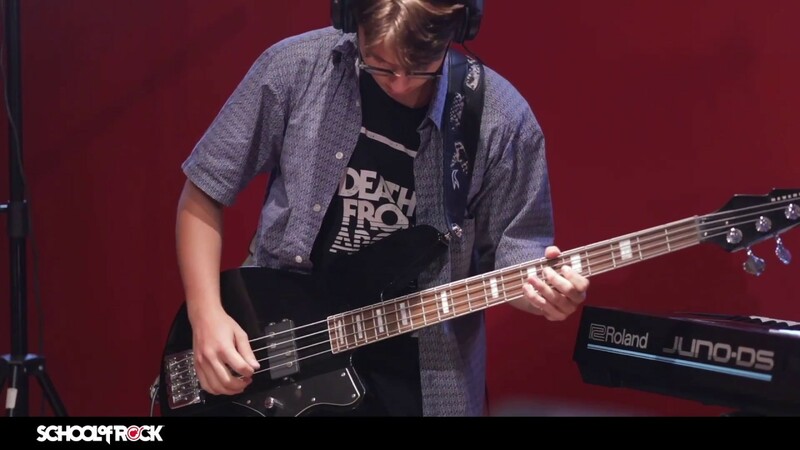 Greg is not only School of Rock San Antonio's Music Director and House Band Director, but also performs with his own band, Rhythm Report, and serves on his worship team as guitar player and consultant at River City Community Church. He plays both lead and rhythm guitar, harmonica and bass guitar. He is also a lead singer, music producer and sound engineer. Karly has been playing the piano for over 20 years and the guitar for over 15 years. Music has always been her passion. 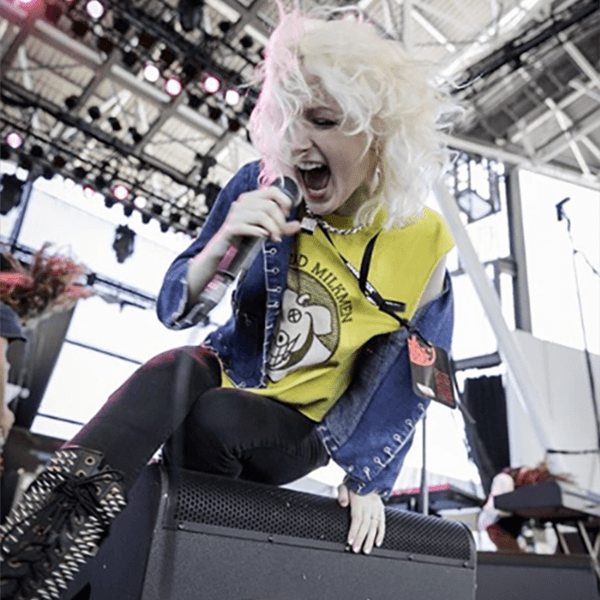 She has performed with several bands, including Sweet Tooth, and currently plays with Top Heavy. 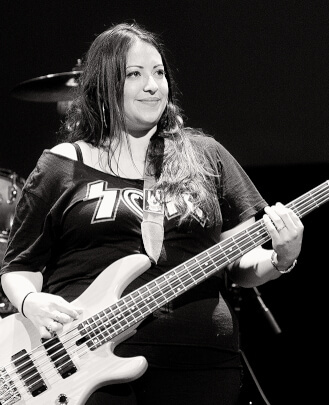 She has played at several music festivals and has opened for Great White. 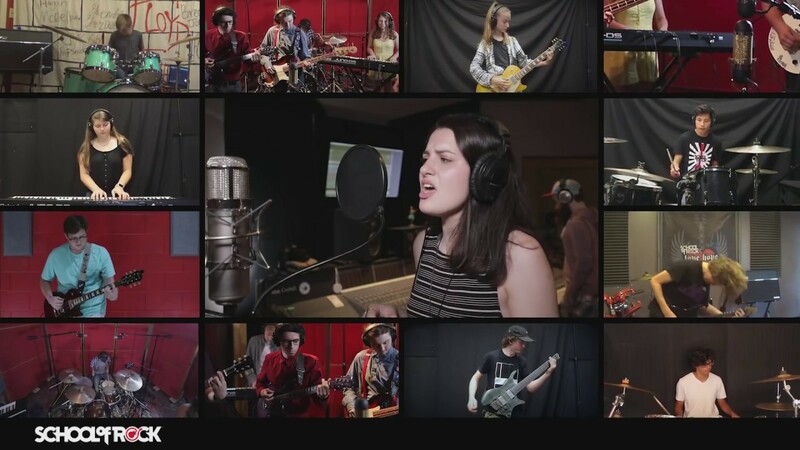 She has a Bachelors of Science in Audio Production from the Art Institute of Austin. She recorded a track with Bootsy Collins on the John Lennon Educational Tour Bus. 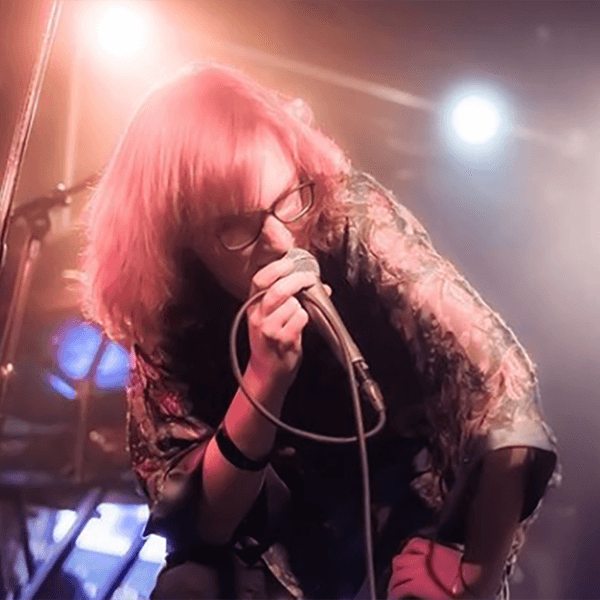 She has worked as a sound engineer at several local venues and records all of her own music and music demos. 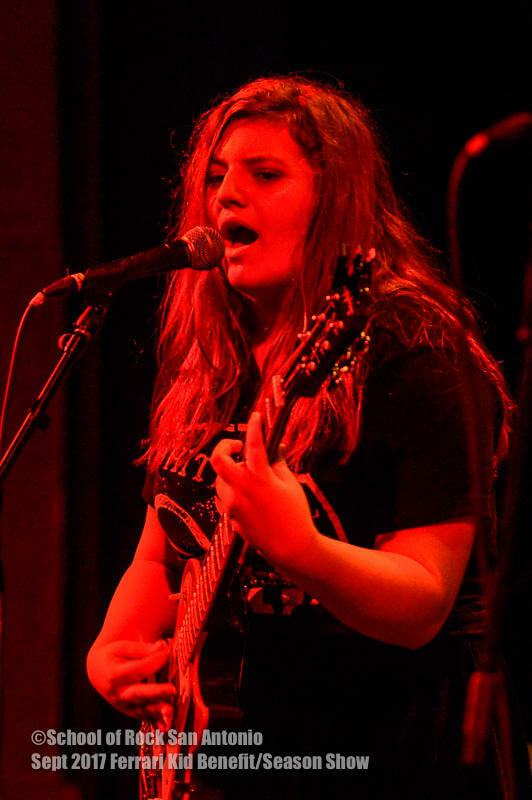 Karly teaches guitar, bass, drums and keys and is the head of our Rookies program. Leah is mainly a solo performing artist. 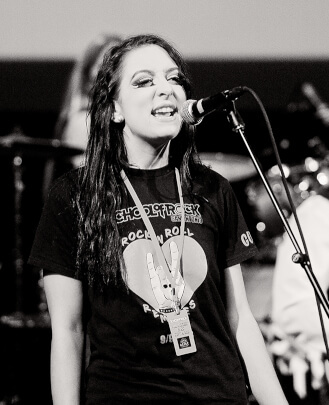 Leah started her musical journey at the age of four, when she began taking vocal lessons. At 10 she also picked up guitar. She travelled to Germany, Austria and Hungary with her choir and performed for the Texas Music Educator's Association (TMEA) several times. 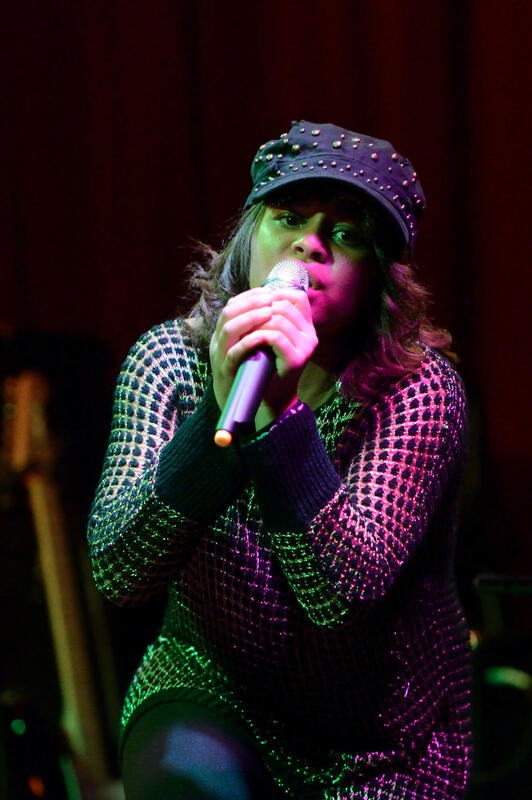 Starting in 2011, she began performing with several local bands including DeerVibes and Michael J and the Foxes. She is currently working with an independent music label, Mind and Soul Music, and is going to be releasing an EP next year. Leah is a singer, songwriter, guitarist and piano player. John has been playing guitar for 32 years. 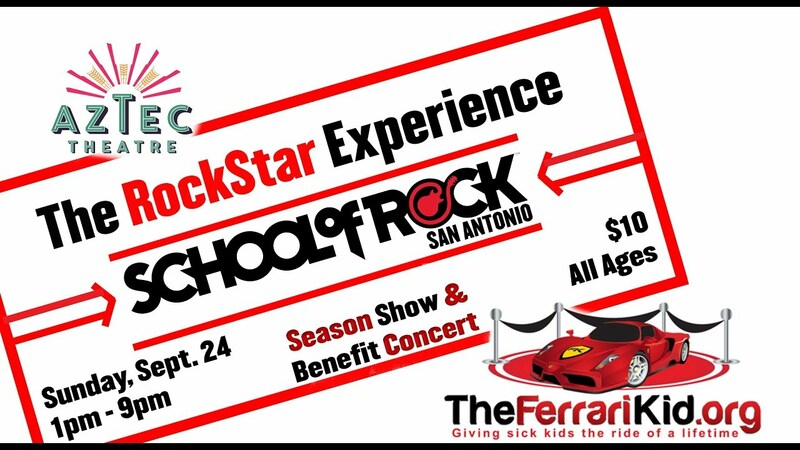 He has opened for all-time greats such as Eddie Money, Cinderella, Def Tones, Lita Ford, Steve Vai and more. John has been in many bands including Sauce, a wedding band from Austin, as well as Christian Castro and Drive. 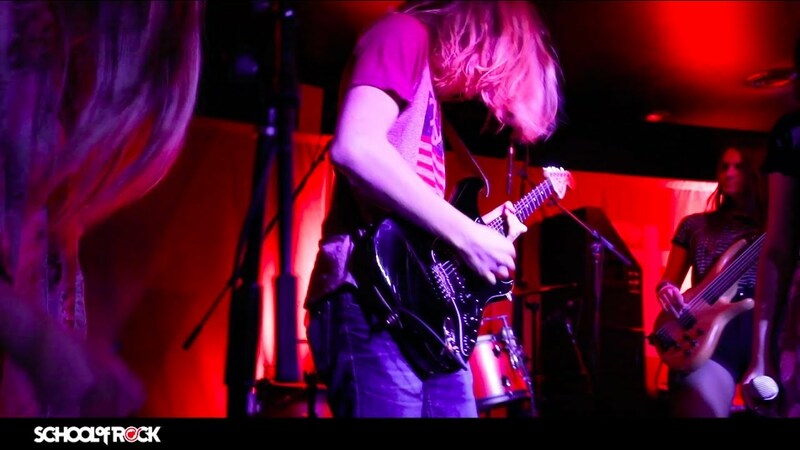 He is currently the lead guitarist in Retro Nouveau. 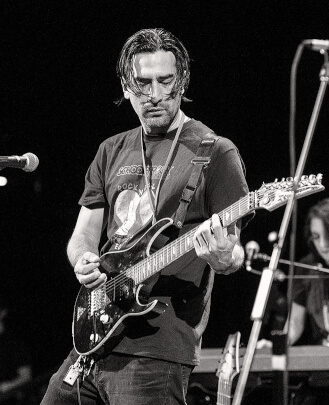 John's awards include Guitar Wars 13, a Steve Vai competition, and the San Antonio Music Awards 'Best Guitar Player' for three years in a row. John's music repertoire includes knowing over 400 songs. He's a songwriter, guitar teacher and music performer. Dave began playing drums at age 10 and went on to study music at the New England Conservatory of Music in Boston. 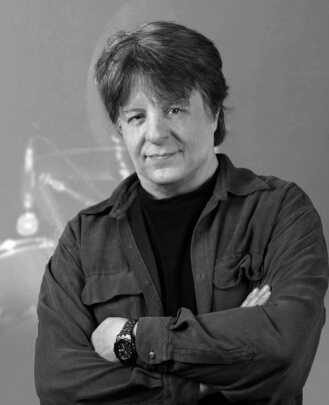 His mentors included Vic Firth, Michael Shrieve (of Santana), Gary Chafee, Alan Dawson and Charles Perry. In 1980, Dave returned to New York to play with John Lennon's band. After John's untimely death later that year, Dave stayed in New York to become a session drummer and sideman. 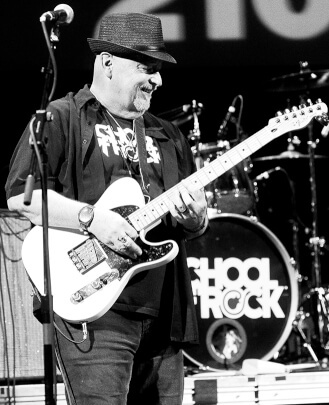 Dave began playing professionally at 13, has played on many jingles and has worked with, or performed with, greats including Chaka Khan, Little Feat, Mountain, Leon Russell, James Brown, The Outlaws, Paul Butterfield, Bonnie Raitt, Levon Helm, Charlie Daniels, Waylon Jennings, Steve Young, James Montgomery Blues Band, Sad Cafe, Papa John Creach, Nik Kershaw, Kenny White, The Talking Heads and others. Dave is a founding member of The Power Section. Dom has a Bachelor of Arts in Music with an emphasis in Audio Engineering. 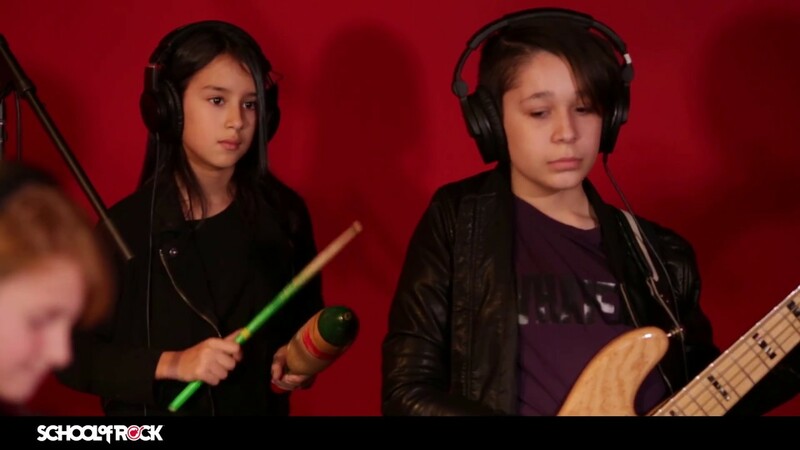 He is a drummer, vocalist and audio engineer. Dom performed with the UIW Cardinal Chorale with concerts at the Tobin Center, as well as at Lincoln Center in NY, has played in the pit for many local theatre productions and has performed with Marcy Grace, Statesboro Revue and Keep it Cute. Dom is the co-founder of a music concert series called Vibes Live and was a co-music director for San Antonio's premier samba drum and dance entertainment group.